APEC 2017’s yearlong events and activities were wrapped up this month with the summit of the heads of 21 member states and economies and more than 10,000 officials in the central coastal city of Da Nang from November 6-11. Vietnam’s hosting of APEC 2017 helped the country promote its image and created trade and investment opportunities, improving Vietnam’s position in the international arena. The success of the various meetings and conferences of APEC 2017 not only elicited praise for Vietnam’s hosting, but also reflected its guiding role in APEC in the context of numerous economic and political challenges facing the world. 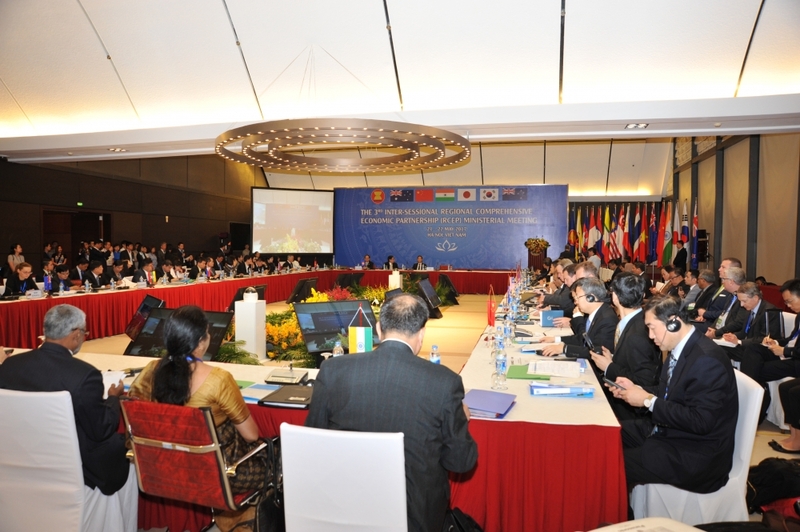 APEC is the largest regional economic cooperation forum in the Asia-Pacific, comprising economies that account for 39 percent of the world’s population, 59 percent of the global gross domestic product, 48 percent of international trade, and 53 percent of total foreign direct investment worldwide. 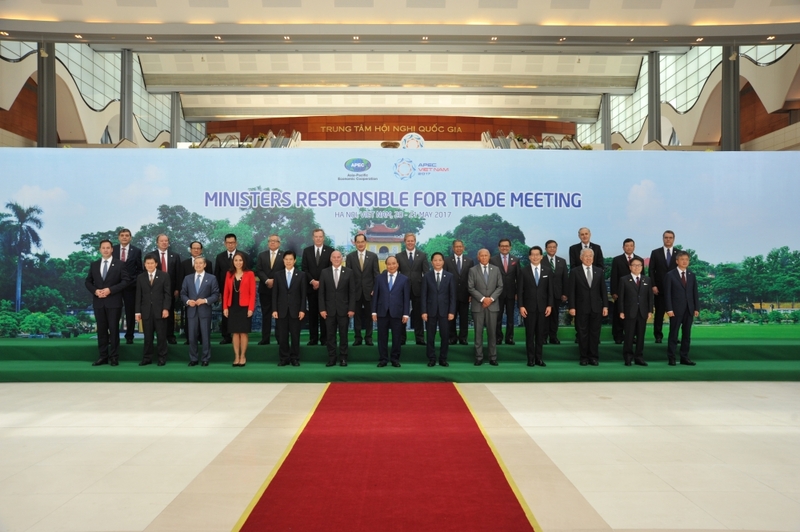 So far, Vietnam has signed 15 free trade agreements (FTAs), 13 of which are with APEC member countries. Vietnam’s top 10 export markets include seven APEC member economies: the US, China, Japan, the Republic of Korea, Hong Kong (China), Malaysia and Singapore. Not only contributing to the success of multilateral cooperation in the region, APEC 2017 also offered Vietnam opportunities to deepen its bilateral relations with other APEC member countries. APEC 2017 offered its members opportunities to discuss strategies and specific measures to expand cooperation to catch up with rapid economic and political changes worldwide, promoting their consensus at regional and international multilateral forums, including APEC, ASEAN, ASEM and WTO. At a meeting with the media on the threshold of the APEC Summit Week in Da Nang, Deputy Minister of Foreign Affairs Bui Thanh Son, Vice Chairman of the APEC 2017 National Committee, listed areas of consensus gradually reached by members. These include human resource development in the digital age, sustainable tourism development, sustainable development of small and medium enterprises, and green innovation. According to Deputy Minister Bui Thanh Son, through APEC 2017, member countries proposed ideas and initiatives to achieve the free trade Bogor goals, set by member states in 1994, and accelerate the implementation of commitments in fields where development remains slow. These ideas and initiatives pertain to measures to promote cross-border e-commerce, develop support industries, build supply linkages, and enhance capabilities for member countries in implementing FTAs and harmonizing policies. The implementation of the Bogor goals has been promoted through two channels: collective action plans of APEC and action plans of each member country. Deputy Minister Son said APEC member countries had reaped positive results over the past 23 years implementing the Bogor goals. The average tariff rate in the region has been down from 17 percent to 5.6 percent. Intra-regional trade has grown nearly 70 percent. However, in his opinion, some specific areas, such as investment facilitation, and reduction of non-tariff barriers, require greater efforts. “These results can be said to be positive, contributing to the gradual realization of the Bogor goals that APEC is pursuing until 2020,” Deputy Minister Son said. Themed “Creating new dynamism, fostering a shared future”, APEC 2017 activities were associated with businesses, creating opportunities especially for small, medium and micro enterprises to boost trade and set up linkages with high-ranking leaders and economic groups worldwide. 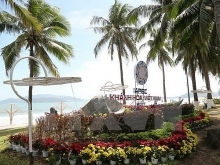 With more than 200 events, eight ministers meetings and ministerial-level conferences, and especially the APEC CEO Summit in Da Nang, APEC 2017 is expected to contribute significantly to interaction between the business community and high-ranking leaders and policy makers. More than 2,000 Vietnamese and foreign businesses registered to participate in the APEC Summit Week, the highest number recorded so far. Vu Tien Loc, Chairman of the Vietnam Chamber of Commerce and Industry, said the presence of leaders of the leading economies in the region and the world, such as the US, Japan, the Republic of Korea, Australia, and global businesses from APEC member countries, enabled Vietnamese companies to seek cooperation opportunities from world leading businesses. “Meetings with leaders of APEC member economies and billionaires enabled Vietnam to grasp global economic trends, as well as global business management trends and models. In the current context, global value chains are accessible to not only large businesses but also small and micro ones,” Vu Tien Loc said.